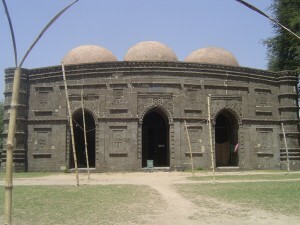 Chini Masjid is located at Syedpur Upazila of Nilphamari district. Saidpur is the northern railway and industrial city of Bangladesh. Chini Masjid is one of the most fascinating and distinctive architect. 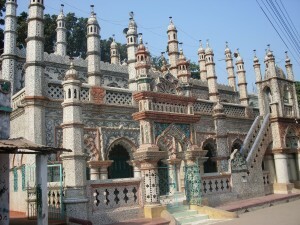 Chini Masjid is also known as glass Mosque. 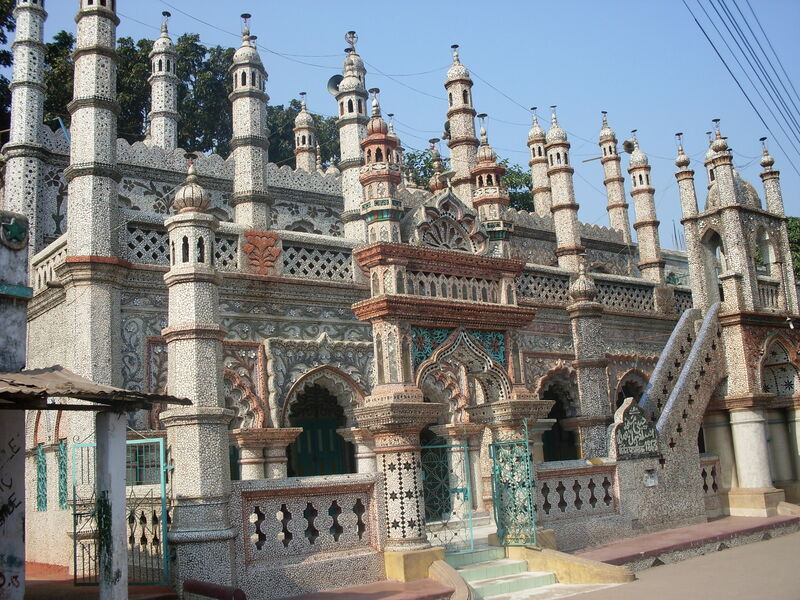 Chini Masjid or Glass Mosque was established in 1883. Built in 1704-1752 A.D. by Pran Nath, a renowned maharaja from Dinajpur, and his adopted son Ram Nath, it is the country’s finest example of brick and terracotta style. Its most remarkable feature, typical of late Mughal-era temples, is its superb surface decoration, with infinite panels of sculpted terracotta plaques. The incredible architectural skill that went into the building and design of this 100-year-old palace is truly something special and visitors often find themselves stunned by the craftsmanship that is found in this amazing structure. It is hard to believe that all this, and the surrounding city, all started as a simple bit of trade involving hats. 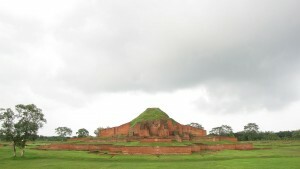 The mound derived its name from the popular romantic folk tale entitled Behula and Lakshindar. 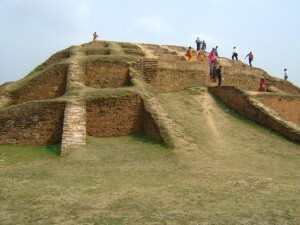 Connected with the same story is found another smaller mound, locally known as ‘Netai Dhopanir Pat’, situated to the close east of the Medh. The mound is situated on the west of village Gokul which is about 2km to the southwest of Mahasthangarh. It was excavated in 1934-36 and has revealed the derelict relics of a temple. Paharpur Buddhist Monastery, also known as Somopura Mahavihara is one of the most important ancient sites in our country. It was declared as a World Heritage site in 1985. 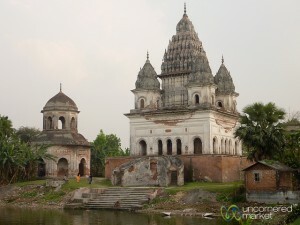 There were monasteries which were built in Pala period in Bengal and in Magadha. Dharampala Vikramsila was the pioneer in building this monastery. It is a large square rectangle which is approximately 920 feet. 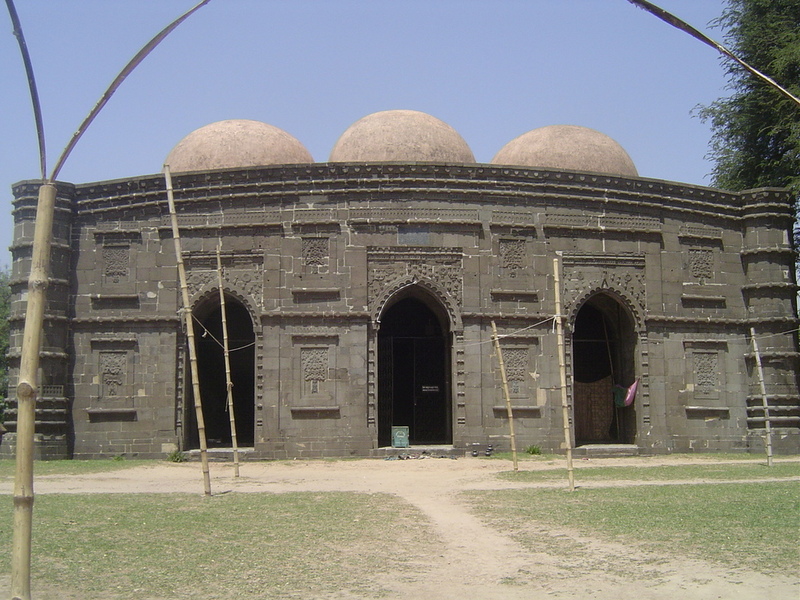 Kusumba Mosque is named after the village of Kusumba, under the Manda upazila of Naogaon district, on the west bank of the Atrai River. It is inside a walled enclosure with a monumental gateway that has standing spaces for guards. It was built during the period of Afghan rule in Bengal under one of the last Suri rulers Ghiyasuddin Bahadur Shah, by one Suleiman who was probably a high ranking official. The inscription tablet in Arabic dating the building to 966 AH is fixed over its eastern central entrance. 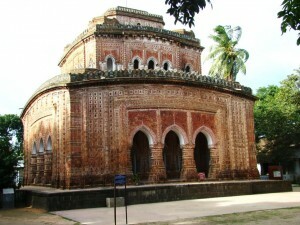 Puthia Temple Complex consists of a cluster of notable old Hindu temples in Puthia Upazila, Rajshahi Division, Bangladesh. Located 23 km to the east of Rajshahi city, it has the largest number of historic temples in Bangladesh.The temples were built by Hindu Zamindars Rajas of the Puthia Raj family who were noted philanthropists of Rajshahi. 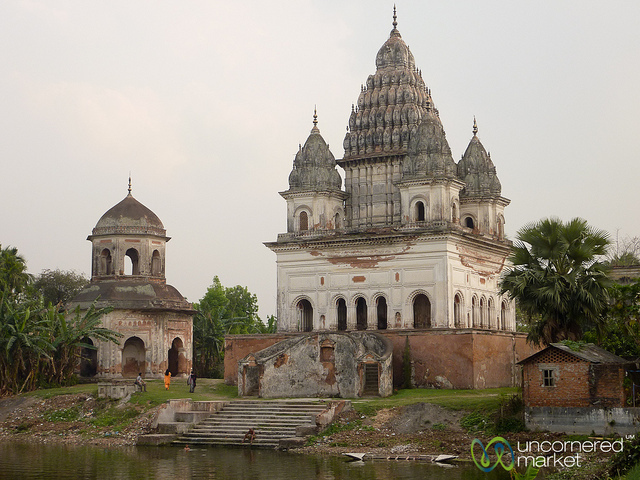 The temples have been built in terracotta in a variety of styles combining the typical Jor-bangla architecture with other influences. 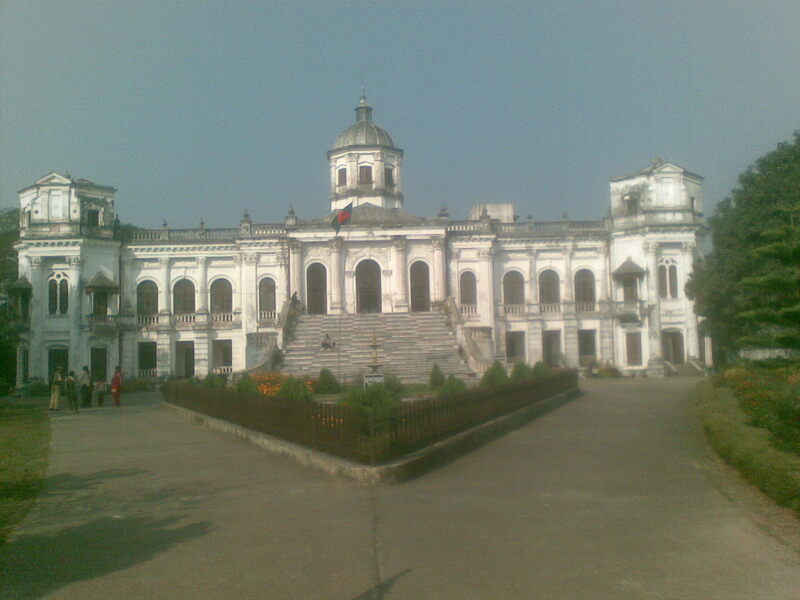 The Rajbari or Palace of the Raja of Puthia and the Dol Mancha are part of the complex. The temples are laid out around a lake with a sprawling lawn.